This domestic four car garage is ideal for parking the family cars. 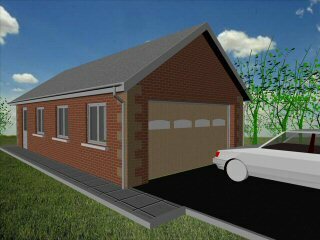 This is the smallest width double garage available. 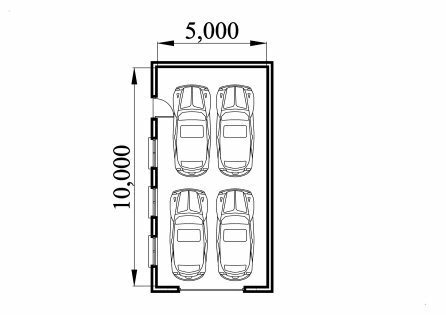 The width of the garage will accommodate two cars side by side. 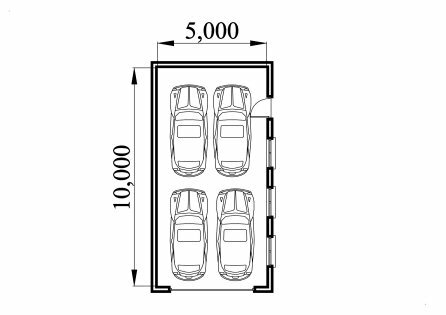 The 9 feet wide garage door allows easy access to the garage. The cavity wall construction provides water proof construction.